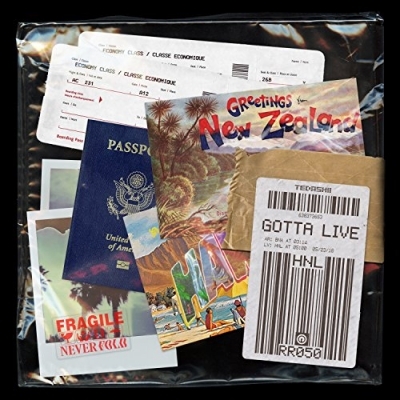 Lauded CHH heavyweight, Tedashii, and celebrated Pop CCM artist, Jordan Feliz, join forces for their latest single, “Gotta Live.” Available now for purchase and streaming across all DSPs via Reach Records, “Gotta Live” is also set to impact CHR Radio on June 8. Read More Lauded CHH heavyweight, Tedashii, and celebrated Pop CCM artist, Jordan Feliz, join forces for their latest single, “Gotta Live.” Available now for purchase and streaming across all DSPs via Reach Records, “Gotta Live” is also set to impact CHR Radio on June 8. Tedashii has been separating himself from the pack for the better part of a decade. With a slew of revered studio albums and EP’s to his name - including the masterful Below Paradise which debuted at No. 17 on the Billboard 200 albums chart - the Texas-born and bred rapper has remained a force. Known for his exuberant delivery on the mic and robust stature, Tedashii has graced the stages of the GMA Dove Awards, KLOVE Awards and performed on the top-selling Winter Jam Spectacular Tour. His hit track “Dum Dum” also appeared on the Fox TV Series So You Think You Can Dance.